It’s that time of the month when I let you know what I’ve been loving during the month of September. Almost all of this month’s favourites have been introduced during September and I’ve really enjoyed them and continue to use them. So, let us jump into it! My first favourite is the TV series, The Fosters. There are currently 4 seasons available and I watched them all during the first two weeks of the month and become totally addicted to the story. It’s about a family of 5 biological and adopted children belonging to a happily married home of Lena and Stef. As a family they love and care for each other through any obstacles that may come their way. As an education student and aspiring social worker it allowed me to understand why people choose to foster and adopt children and understand the way foster children feel whilst in the system. It’s full of drama and emotions and now i’ve finally caught up to date with the series it’s been left on the biggest cliff hanger and i’m so excited for the rest of season 4. Another TV series that I was brought back to, Modern Family. Having already watched season 1 – 5 and as there is a new season to be released shortly I thought I would spend some time getting up to date with the rest of the series. This show is so funny, the parents are so comical and the kids are witty and smart. The writers have made this such a well written show and the humour is so up my street. Following the route of families, Modern Family is about the Pritchett-Dunphy-Tucker family who are all connected through blood and marriage. The show represents a modern-day family and is based on true stories from the writers of the show. I love this show and really hope it’s around for a long time. It’s truly brilliant and so easy to watch. Fortunately Season 8 has begun and has filled the gap in my life. The next favourite of the month is the beach. I’ve recently begun my third year at university, in the seaside town of Aberystwyth and I’ve loved having the beach and seaside on my front door. Only a 15 minute walk away from my house and I can be sat on the prom, enjoying the seaside air and the beautiful town that I’ve called home for the past two years. It’s truly the best thing about university and I love that I can come down to the beach and sit on the sand when i’m stressed and anxious about my day or feeling homesick. It’s beautiful and I think there is nothing more peaceful than being around the sea all the time. It’s such a peaceful and lovely area and I couldn’t love it anymore. Slippers haven’t always been a love of mine, in fact they’re often a hit or miss with me. I recently bought these ones from Primark for £4 and oh my god they’re so fluffy and soft. They’re said to be memory foam and they really helpful after long days on my feet to help reduce any pains and aches. They’re going to be so useful for the winter when it’s cold out and I need to warm up my toes. They’re fantastic. 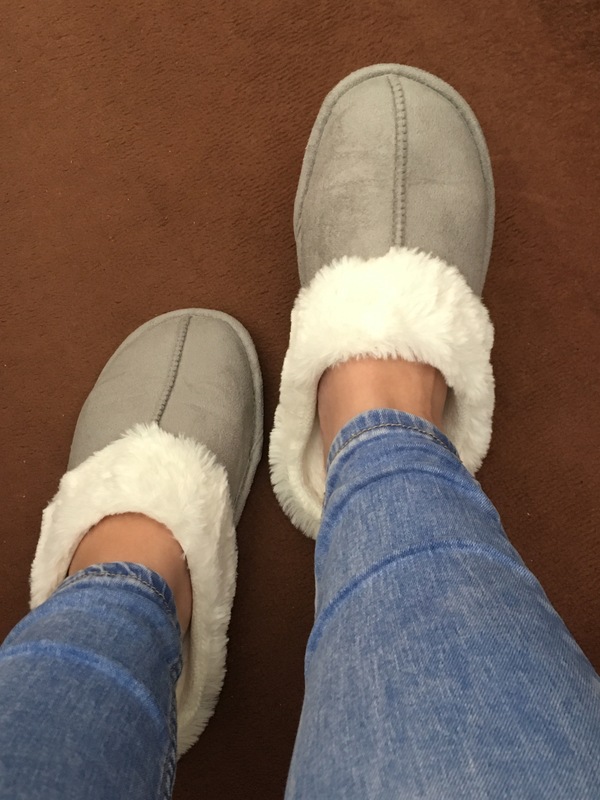 Happy purchase and happy feet! Last but not least, my final favourite is a song was written for The Fosters called Outlaws, it’s sang by David Lambert who plays the character, Brandon. It’s truly beautiful and I think it’s such a lovely way to let someone know how loved they are and how much they mean to you. I’ve been non-stop playing this and It’s always in my head, it’s such a lovey-dovey song. It’s available on YouTube here. I love it. So there you have it, my September favourites. They’re the things that I’ve loved this month and can’t wait to continue using them.